I know that random redwood is the most fun place to post, but why is nobody posting in mahogany outlet or making fan art? 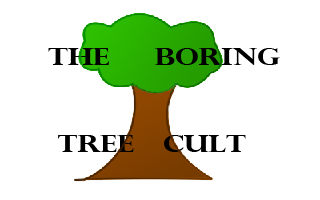 I am the only one who has done tree-related art, and the website kinda needs it, you know, to make it more colorful. I know that a few of us are good artists (I am looking at YOU hunnytree), and wish that we could have more art there that is not mine. Also, Mahogany outlet is receiving very little attention, which I find rather odd as I know at least three of us (including myself) ADORE video games. This is just a reminder that these topics are in need of attention. Have a good evening! Well, technically, Burning Tree's 'strategy' would belong in Mahogany Outlet. Should I move it? By all means. I'm not complaining. OMG SOMEONE IS ONLINE AT THE SAME TIME AS I AM??? *ahem* right, on the topic yea I think you should move my *cough* 'strategy' to Mahogany Outlet.